Redeye is delighted to share our interview with the founder and editor of 1000 Words, Tim Clark, covering the 10th anniversary of the publication and the current Kickstarter campaign to publish their first print magazine to celebrate this milestone. 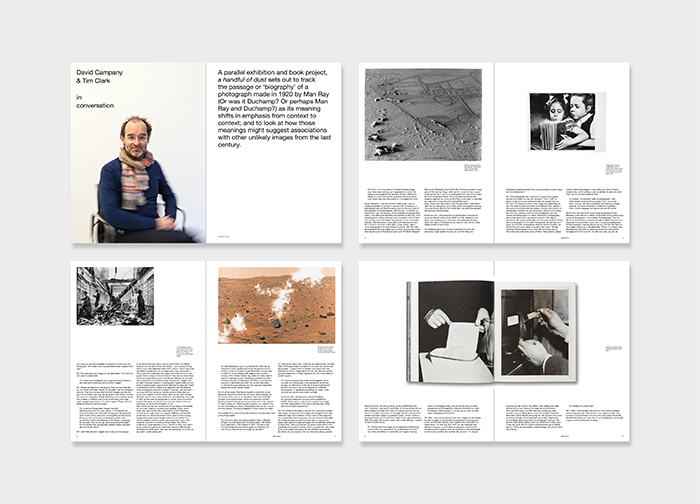 Since 2008, 1000 Words has commissioned and published more than 850 exhibition and photobook reviews, essays and interviews; providing an invaluable resource for their readers in over 120 countries. If you'd like to support the campaign, it runs until Wednesday 11 April 2018 and you can click here find out about how to get involved. In this article, Redeye's Emma Colledge talks to Tim about how 1000 Words has evolved over the past decade, his personal highlights and his thoughts on the photography industry today. Q: Since founding 1000 Words in 2008, what have been the biggest changes to the magazine? Tim Clark (TC): Perhaps the biggest change to 1000 Words has been the web overhaul in 2015. The first website was beautifully designed by Santiago Taccetti but built on Adobe’s Flash, which had some major shortcomings as it wasn’t allowed on Apple’s iOS hardware products such as the iPhone and iPad. It obviously served us well up to a point but we ditched that technology as part of the revamp; subsequently improving the interface, easy of navigation for the reader, as well as providing a more intuitive back end for us as administrators of the CMS, not to mention increase the visibility and value for advertising partners. This also allowed us to monitor and drive up usage on website, including through the use of social networking tools, SEO techniques, Google Analytics and so on. Q: What developments have you seen in contemporary photography during this time? TC: The photobook renaissance of the past decade or so has been interesting to observe. Think of all the fantastic and inventive ways artists have been using that form as a means of expression and a way of conceptualising approaches to storytelling through nifty editing, sequencing, design and haptic qualities etc. We’ve seen some contemporary classics emerge in the last 10 years such as Christian Patterson’s Redheaded Peckerwood, Cristina de Middel’s The Afronauts, Laia Abril’s The Epilogue, Paul Graham’s A Shimmer of Possibility or Dayanita Singh’s Museum Bhavan to name just a few notable examples. By natural extension, the support structure that has been built around such activity has grown considerably, as evidenced by new initiatives, including the Aperture’s Photobook Review newspaper, Paris Photo/Aperture Book Awards, MACK’s First Book Award, Martin Parr and Gerry Badger’s The Photobook: A History Vol I, II and III published by Thames and Hudson and Fotobookfestival in Kassel, not to mention the phenomenon that has been Bruno Ceschel’s Self Publish, Be Happy – talk about tapping into a zeitgeist! I’m also curious about the rise and validation of more experimental works within photographic practice; photography that moves way beyond the documentary function or photojournalist impulse into an expanded realm that may incorporate sculpture, performance, VR, citizen journalism, social media or networked culture, having huge impacts on both aesthetics and channels of dissemination. In Lewis Bush’s recent interview on 1000 Words, Katrina Sluis touched on the latter so eloquently. She asked: given the challenges of exhibiting the vernacular digital-born image, how might we address questions of authorship, labour and cultural value in an age of photographic ubiquity, and how might one practically curate, disseminate and archive a photographic culture defined by viral reproduction and excess? Sluis also reflects on the manner in which the common binary between ‘immaterial’ and ‘physical’ mediums, which assumes the digital image has no materiality, is both problematic and political in her view, and the different set of tools or logic that are now required to consider the limits of semiotics or psychoanalysis in an age when machines (and not humans) are the dominant readers of images. I encouraged readers to delve into the piece here. Q: Where do you feel improvements could be made within the industry in 2018? TC: The first thing to say is that it’s important to point out that we operate within a wonderful community, the role and value of which I have had strongly reaffirmed since launching the Kickstarter campaign recently – the amount of generosity and support in this context has been tremendous. Obviously, it is always easier to point out and lament the negatives but there is clearly still much room for improvement within the industry, both here in the UK and beyond. This runs the gamut from lack of transparency on juries; growing numbers of dubious open call competitions that exist purely as cash cows; poor approaches or absences of meaningful diversity and engagement with people of colour through programming, boards, panel discussions, reading lists so on and so forth; a lack of uniformity and good practice when it comes to remunerating artists for exhibiting in public institutions (if at all! ); woefully underpaid curatorial roles in certain museums that require a PhD and 5 years of experience even at junior levels; residency opportunities that are prohibitive for practitioners with children or families; unreconstructed anti-intellectualism that exists largely in the minds of lots of the older generation of white male photographers or critics who proclaim they ‘know what a good picture is’ or often venture the ‘that’s not photography though’ type comments. All of these faults create terrible barriers to entry that can often so easily be avoided. Q: Why do you think 1000 Words has stood the test of time? TC: I hope readers and advocates appreciate the consistency of output and strong editorial vision that aims to combine judicious selections of works alongside newly commissioned texts from a network of brilliant writers, who are very active and immersed in the world of photography either as critics, curators, academics and so on. I’ve talked before about how 1000 Words is really the sum of so many great thinkers on the contemporary – Duncan Wooldridge, Lucy Soutter, Daniel C Blight, Charlotte Cotton, David Campany, Gerry Badger etc – and it still remains true. I would like to think his experience is akin to that of the many of those engaging with the work and mission of 1000 Words. Q: Is there a feature, interview or commission that stands out as a personal highlight? TC: This is a difficult one to answer as I’m proud of so many of the commissions and resulting pieces of writing. Certainly one the most widely read articles on 1000 Words can be found in our Interviews series, the instalment where Sabine Mirlesse catches up with the brilliant curator and writer Susan Bright in her newly-adopted city of Paris. They discuss deeply many of the various burning issues relating to photography and the culture that surrounds it. From the unfair dismissal of fashion photography to the trials and tribulations of a practice-based PhD in curating to reflections on the photobook craze and the under-representation of women photography professionals on boards, panel discussions and juries, it’s all broached there. She also unveiled her curatorial and book project Feast For The Eyes, exclusive to 1000 Words. Q: What will feature in the special print edition to mark the tenth anniversary of 1000 Words? TC: Designed by Sarah Boris, and printed in Italy, the publication will take the form of a beautiful 200-page bookish magazine featuring newly-commissioned content. At its core will be the high-quality reproductions of 10 portfolios from artists who, we believe, have built significant bodies of work and emerged as increasingly influential practitioners in the past decade. Those individuals include Jose Pedro Cortes, Laia Abril, Edmund Clark and Esther Teichmann to name but a few of the names we have already decided on. Other highlights include a series of photo-centric city guides. From New York to Milan, London to Shanghai, we’ll focus on the most engaging gallery spaces showing photography today. 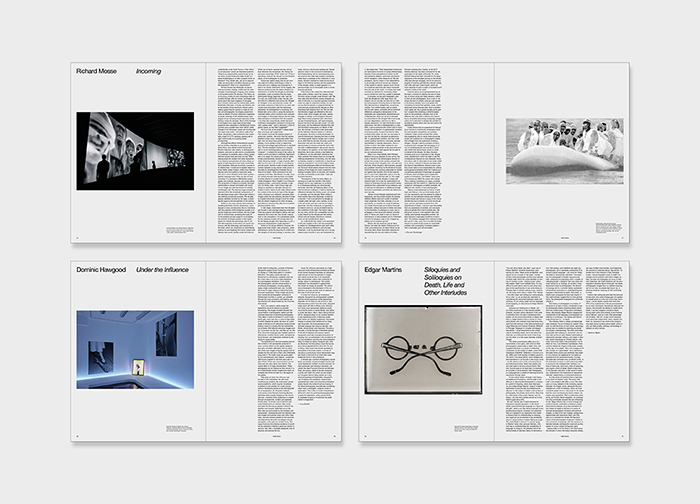 The magazine will also contain profiles on curators and collectors, opinion pieces on the art of photobook publishing as well as reflections on a decade’s changes in photography. Finally, we’ll delve into our archives and present a selection of memorable and talked-about articles from the 1000 Words back catalogue. I’m sure more content will be added as we embark on the project following the Kickstarter campaign. Q: How can fans of the publication support the campaign? TC: By virtue of pursuing a Kickstarter campaign, we can accommodate a range of budgets and levels of support. Contributions start at £10 for a PDF of the publication or £25 for the printed copy plus PDF. The maximum contribution is £2,000 for which donors join the Director’s Circle and receive a VIP tour of Paris Photo, plus studio visits and a gala dinner, among other benefits. In between, we have the Benefactor offer at £125, with rewards including a portfolio review with myself where I’ll provide frank and informal feedback through a Skype meeting. These are designed to offer photographers a critique of their creative output, the practical and conceptual vision needed to help attain their goals and develop further projects, assistance with portfolio presentation and approaches to outlets in the editorial, publishing and gallery markets, as well as of course further resources to help enhance research. For £500, donors get a range of rewards that also include their choice of one of five limited-edition prints from fantastic artists such as Mimi Mollica, Matt Finn, Francesca Catastini, Alexandra Lethbridge and Federico Ciamei. Parallel to this, we invite followers or people who are new to 1000 Words sharing news of the campaign amongst their social media networks. We’re currently 50% funded at the mid point of the campaign so every little push really does help. Q: What would you like the next decade to hold for 1000 Words magazine? TC: Obviously as an organisation continue to be ambitious, inventive and support a broad range of artistic practices so we can remain useful and relevant to our readers, keeping them informed and upfront. I would also like to see 1000 Words – along with the likes of Self Publish, Be Happy, Morel Books, TJ Boulting or Seen Fifteen gallery in London, for example – enter Arts Council England’s portfolio as the new wave of its regularly funded organisations. We all have very successful track records of contributing to the support, study and development of the medium with proven benefits for artists and audiences alike so it’s in the next round of applications that such a long-term and sustained impact should be properly recognised. Either this scenario, and/or see 1000 Words aligned with a museum or a leading London university as co-publishers to form part of their research output. The times they are changing. However, I often feel that if we were working out of a different country across Europe – such as France, Belgium or Switzerland – then public funding would be more forthcoming since photography is just so much more deeply-engrained and appreciated in these cultures! To learn more about 1000 Words | 10 Years Kickstarter, click here for further information and to support the campaign. The campaign ends on Wednesday 11 April 2018.